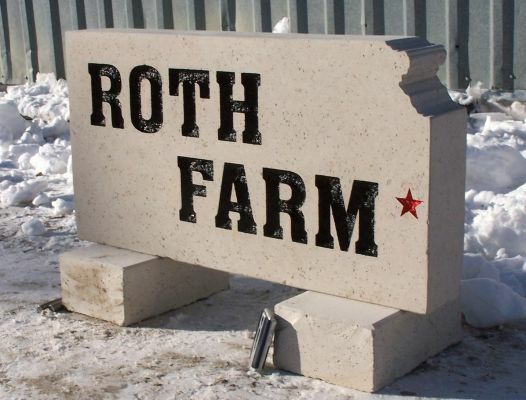 Personalized Kansas limestone. This stone is custom cut to the shape of Kansas and engraved for those that love the state of Kansas. Dimensions: 2'-6" L x 16" H x 4" W Custom cut shape with Stone "Feet".